"Flash to 3GP Converter is amazing. I love it so much. Thanks!" Converting SWF to DVD, SWF to VCD / SVCD compatible MPEG files. Converting flash, swf to AVI, and support codecs such as 3ivx, DivX, and Xvid. 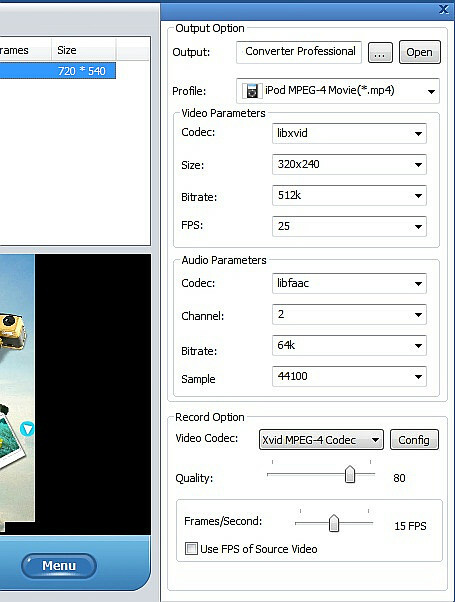 Converting flash to MP4, and support ipod and psp compatible codes such as H264, and MPEG4. Adopting the Lower-Playback-Speed technology to achieve accurate audio and video synchronization and no skip frames. Using audio-extracting method to 100% keep the original sound. Letting users easily select a segment of flash file to convert. Converting flash to video with Flash to Video Converter involves a three-step workflow. Just click the File button to choose the SWF file you want to convert from your hard drive. The selected file will be highlighted. Click the Options button to choose a profile and then set audio and video parameters for the output. 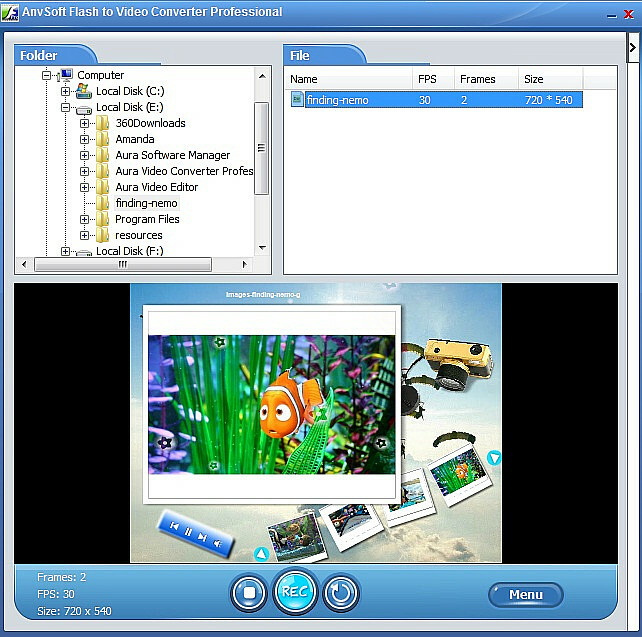 After setting all options for output video, click the Record button to convert your flash to video in selected format at once.